John McAfee; the controversial Internet security guru and crypto enthusiast, says he will no longer engage in promoting ICOs. He revealed this decision via a tweet yesterday (June 18, 2018). The cryptocurrency loudmouth has been on the warpath with the SEC over some of its rhetoric concerning the legal status of ICO tokens. According to the tweet, McAfee claimed that the SEC had threatened him. Hence, the decision to stop working with and promoting cryptocurrency Initial Coin Offerings (ICOs). The Twitter post was in reply to a question by one of his over 13,000 followers on the platform. The follower with the Twitter handle @Venkate19964740 asked McAfee to recommend a viable ICO project to invest. In response, the crypto enthusiast announced that he was no longer in the business of promoting ICOs. He even cautioned those who still promote ICOs that they were at risk of being arrested. The SEC has in the past, warned celebrities engaged in endorsing cryptocurrencies and ICO campaigns. According to the SEC, such public endorsements by recognizable figures in the society might even be illegal. The Commission also advised the investing public to be wary of celebrity-endorsed projects. While announcing his decision to quit promoting ICOs, McAfee declared that he was working on a new ICO strategy. According to him, this ICO alternative would be free from ICO oversight. The SEC has taken a stricter stance on ICOs since the boom of 2017. According to the Commission, many ICOs are selling tokenized securities. Thus, they should be regulated by the SEC. The SEC has taken a stricter stance on the cryptocurrency market since the latter half of 2017. Since then, quite a few ICO founders have been indicted on charges of fraud. The Commission has also stated on several occasions that ICO tokens are securities. However, currencies like Bitcoin and Ether are not securities. McAfee’s latest decision comes as a bit of a surprise. In a previous tweet, he vowed to fight the SEC. In fact, the crypto enthusiast has been clamoring for a public debate with SEC chairman, Jay Clayton. John McAfee is well known within the cryptocurrency community – particularly for price predictions and advertising projects. With this latest announcement, it seems the latter part of his input in the industry is over – at least for the time being. Earlier in the year, reports emerged that McAfee charged more than $100k for crypto ICO promotional tweets. Within a short while of the story breaking, McAfee confirmed the story himself. According to his “team,” a tweet from McAfee is considered gold within the investment community. Apparently, a single tweet from the crypto enthusiast can attract $1 million worth of investment in an ICO project. As at May 2018, it was revealed that the fee had increased to $500k. Recently, most of McAfee’s activities in the industry have revolved around the cryptocurrency revolutionary movement. He claimed there was a state-sponsored war against cryptocurrencies while announcing his intention to run for president of the U.S. in 2019. 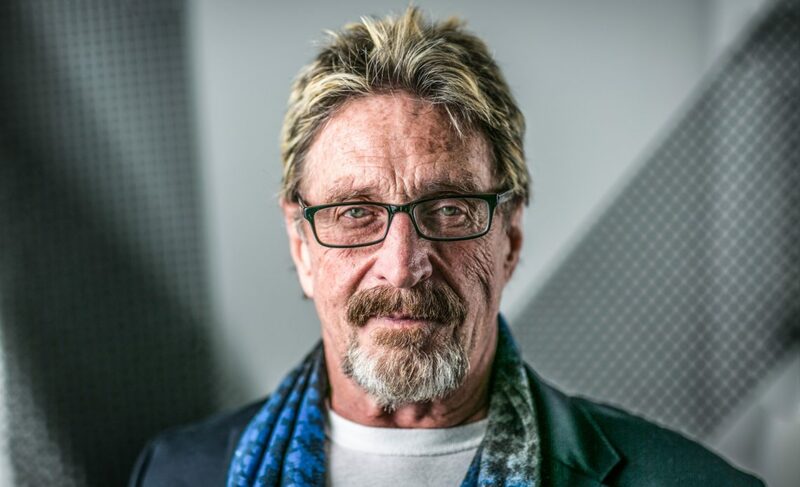 What do you think about McAfee’s latest decision? Do you think he can create an ICO alternative that is free from SEC oversight? Keep the conversation going in the comment section below. Image courtesy of Twitter (@official McAfee).